You shall not take the name of the Lord your God in vain (for the Lord will not hold guiltless those who take his name in vain). Answer: We should fear and love God so that we do not use his name superstitiously or to curse, swear, lie, or deceive, but call upon him in every time of need, and worship him with prayer, praise, and thanksgiving. The best way to use God’s name properly is in prayer, and the best prayer is the one Jesus taught us. 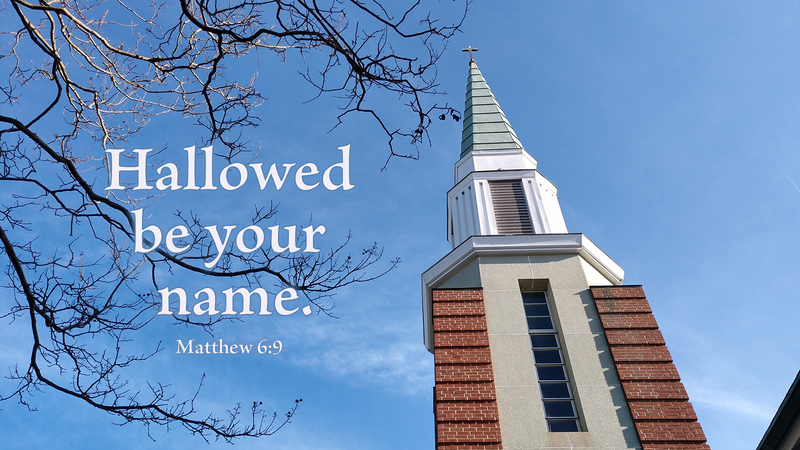 In the Lord’s Prayer, we pray that the Father’s name will be hallowed, or “holied.” We ask that his name be made holy: that he be revered, set apart, and honored in our lives and throughout the world. We do so hallow his name each time we call upon him in prayer, worshiping him with praise and thanksgiving. Prayer: Father God, holy is your name. Amen. 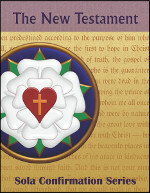 Sola added a Bible Overview year to its Confirmation Series, with two ten-session booklets — one on the Old Testament and one on the New Testament. These books provide a step-by-step overview of the history and geography of the Scriptures, exploring the various time periods and sections of the Bible and how they connect to one another. The goal is to give students a sense for the over-arching story of Scripture, fulfilled in the revealing of our Lord Jesus Christ.